Life is a mess for nine-year-old Milo. It’s not just that his dad has moved away with his girlfriend and new baby or that his mum isn’t coping, and it’s not even that his sight is fading and that one day he will be totally blind. The worst part is that his gran is forgetting things and having accidents: that means she can’t stay at home anymore. Convinced that something is very wrong at gran’s nursing home, Milo sets off with his pet pig to expose the sinister Nurse Thornhill’s dastardly plans. Tripi, the nursing home cook, has troubles of his own but he is happy to help Milo who has become a loyal friend. 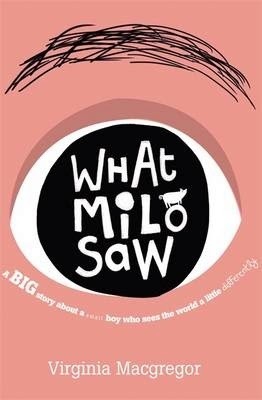 With twists and complications at every turn, What Milo Saw is a page-turner. This light read is dotted with moments of action and comedy and is full of heart.